Have you ever questioned why you’re always craving white bread and sugary foods when you’re dieting? Well, the answer is simple, you may be eating too many foods with a high-GI. GI stands for the ‘glycemic index’ which ranks carbohydrates from 0 to 100, based on the rate at which these foods raise blood-sugar levels. The higher a ‘GI’ in a food then the faster it is turned into glucose in your body, in turn giving you a sugar high that lasts a short time and leaves your body craving more. When your blood sugar level yo-yos between peaks and troughs it can lead to sugar cravings, tiredness and snacking. With white bread, a high Gi food for example, the grain is stripped of its husk and the body’s enzymes can get at it quicker and break it down quickly into sugar. A low ‘GI’ means that the foods are digested slowly, in turn releasing sugar into the blood slowly. These are foods like fruits, nuts, legumes, lean meat/fish and low fat dairy which are rich in nutrients and great for your health. The GI is all about eating the right carbohydrates – ones that slowly release sugar into your system rather than ones that give you a sugar rush and raise your insulin levels. High GI foods can increase risk of heart disease, diabetes and obesity – so sticking to low GI can help you lose weight and improve your health. In practise, the GI diet means lots of vegetables, fruits and whole grain foods, and avoiding foods with a high GI. The Glycemic Index (hence GI) of each food is calculated from real tests on people’s blood sugar levels after eating a food, and each food is indexed against sugar (glucose) which has a glycemic index of 100. 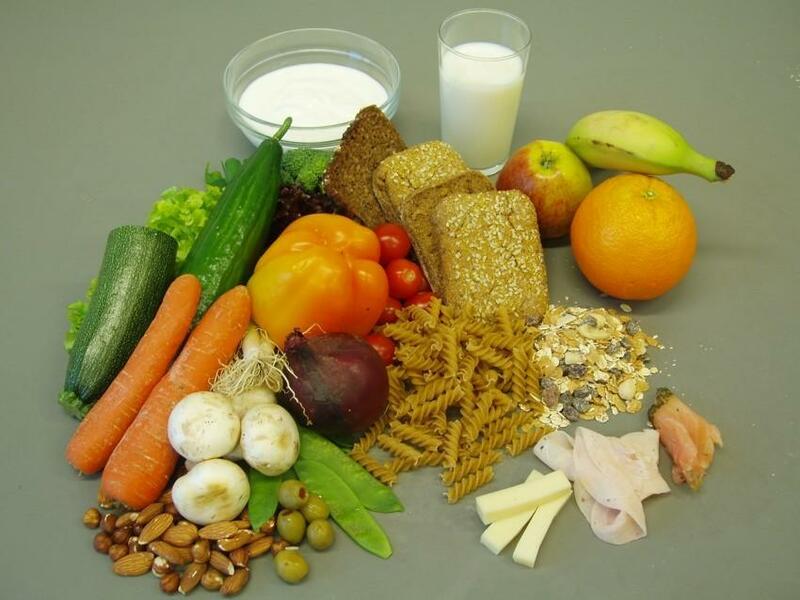 Carbohydrate-free foods (eg fats and proteins such as meat, poultry, fish and pure protein powders) and foods containing so little carbohydrate that their glycemic effect is not measurable (eg cheese and eggs) are not limited from the glycemic index point of view. However, there may be other reasons to avoid the food – for instance if it is high in fat. If you are overweight and want to lose weight try and ensure that the majority of the food you eat (around 80%) has a low-GI. Our Diet in the Box programme launched at the Leisure Industry Week at the NEC in September, is based on a low Gi programme.